Digital technologies seem to be penetrating all aspects of the supply chain. However, for the freight transportation industry, it seems procurement technology is being put on the back burner. The American Shipper Transportation Procurement Benchmark report, which was released in a collaborative effort by the National Retail Federal, Transportation Intermediaries Association and Retail Industry Leaders Association, revealed that shipper companies used manual processes for transportation procurement operations more often this year than last, Spend Matters reported. 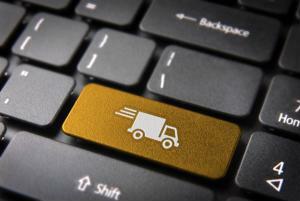 In addition, the study indicated that, for a large portion of shippers, the inclination to adopt a more modern and automated approach to procurement isn't strong. It is not that the majority of transportation companies are resistant to procurement technology because they think their existing processes are particularly effective either. Because while 27 percent of those surveyed expressed satisfaction with their current systems, this number was 18 percent higher last year, indicating confidence in manual procurement is waning. Even among those who reported favorable feelings regarding what they're using now weren't very convincing. When asked how helpful they thought their existing tools were in sourcing activities, only 5 percent rated them as "very good." Twenty-eight percent cited them as "good" and about the same amount said they didn't have an opinion. Another surprising finding the survey revealed, according to Spend Matters, is that the majority of transporter buyers realize that procurement technology could benefit their processes. Most of the freight transportation buyers surveyed are using manual systems, included spreadsheet-based models - 44 percent compared to 39 percent last year. There are some who have started incorporating automation tools, though: 8 percent leverage procurement technology that is specific to freight activity when buying transportation and 7 percent use an automated procurement system for general purposes. The above findings suggest that one of the areas where there needs to be more focus on procurement technology is upper management. Many shippers reported that they were uncertain whether or not their organizations even plan to adopt transportation procurement technology. Even those that plan to invest in automation don't seem to be too eager to do so: Eleven percent said it would happen in the next one to two years and just as many said within five years. Only 8 percent anticipate adding procurement technology to the budget within the next year. The problem is that transitioning to an entirely new system is no small feat - and the longer organizations put it off, the more disruptive and complex it is likely to be once they finally do. Also concerning about the current state of transportation procurement is the variance and ambiguity among companies within the industry. Again, many respondents acknowledged that procurement technology could benefit their processes, yet few are taking the initiative to implement automation and the percentage of organizations using manual systems is actually on the rise. There is a disconnect that suggests there is much room for improvement in the freight shipper market, for not only better communication about what solutions procurement technologies can help with specifically, but how to effectively transition to these systems in a way that will provide the organization with a higher return on investment. According to The Wall Street Journal, Deloitte research recently found that most chief procurement officers need a clearly defined strategy for implementing technology - something only 40 percent currently do. The organization highlighted a number of ways companies can use to help move procurement toward automation, including gaining a better understanding of the struggles CPOs face, their specific needs and resource issues. The source indicated that a major driver of effective change lies in creating a more connected experience and collaborative relationship between the CIOs and CPOs, ultimately resulting in a more effective digital procurement solution.